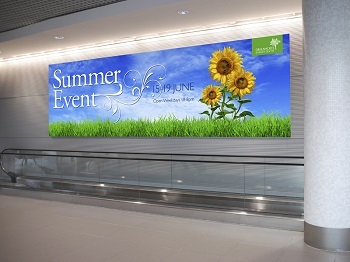 Despite the trend toward smart screens, large-format liquid-crystal displays and other digital media, the wide-format printing business is still booming – particularly for shops that get creative with new and improved materials. Given the right equipment and a keen eye for design, just about any surface can become prime real estate for vibrant, well-printed ads and displays. Here are just a few of the diverse media available to wide format printers today.